This jolly stocking features a smiling St. Nick with plenty of gifts to spare. 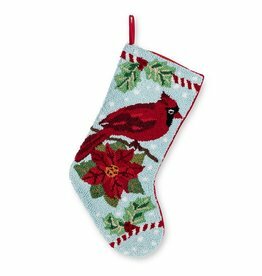 This stocking is sure to bring some holiday cheer into your home. 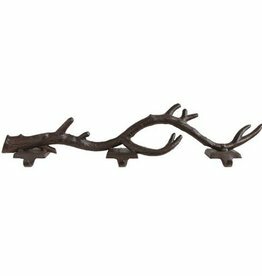 It also includes a convenient hook to hang from your mantle or anywhere else that needs a touch of fun. 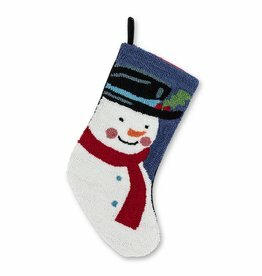 This happy snowman stocking will put a smile on everyones face. Featuring a friendly snowman, its sure to brighten any mantle. Whether its used as a decorative element or filled with goodies, this stocking makes a wonderful addition to any home. 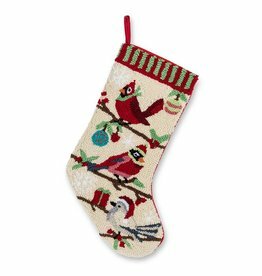 This bird trio stocking features a flock of birds, festively-dressed for the holidays. 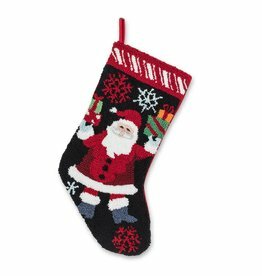 This stocking makes a fun and festive piece of holiday decor on a fireplace mantle or anywhere else in the home or office.